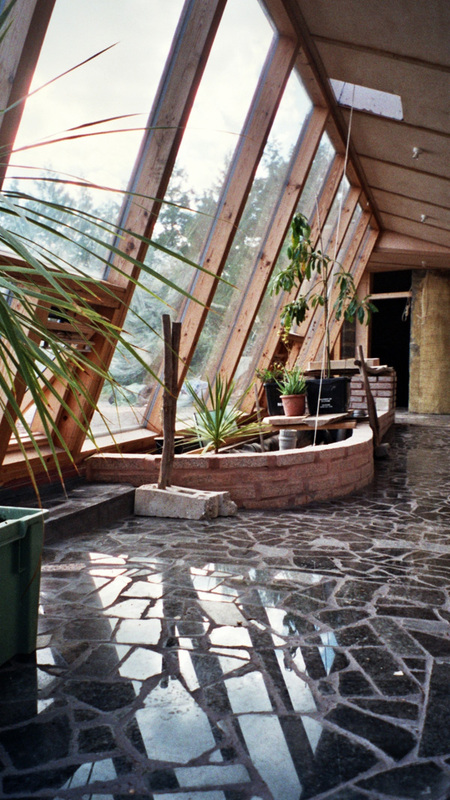 Earthships are exemplars of low-carbon design, construction and living and were invented and developed in the USA by Mike Reynolds (http://www.lowcarbon.co.uk/earthships.html ) over 20 years of practical building exploration . 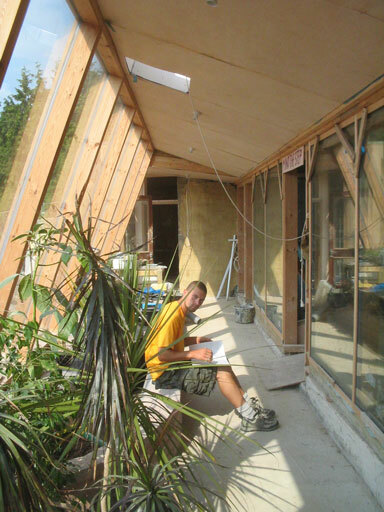 The Low Carbon Network (www.lowcarbon.co.uk) was established to raise awareness of the links between buildings, the working and living patterns they create, and global warming and aims to initiate change through the application of innovative ideas and approaches to construction and decided to build England's first Earthship at Stanmer Park near Brighton using TecEco Eco-Cement technology. Eco-Cement Floor Showing Placement, Partial Completion and Final Tiling. The Eco-Cements were mixed with local chalk aggregates (1 OPC, 2 MgO, 9 Aggregate Eco-Cement Concrete) to construct the floors and make some of the mortars holding a rear tyre bank wall. The builders also used the same mix as a mortar for bottle walls and other minor works. According to the builders, Eco-Cement mixes were easy to work with, stiff yet pliable and workable. Because Eco-Cements set by absorbing CO2 they are much greener ((See http://www.tececo.com/simple.eco-cement.php). A total of around 90m2 of floors were poured using a 1 OPC, 2 MgO, 9 Aggregate Eco-Cement concrete mix and no problems of cracking or shrinkage were observed and the slabs continued to harden for some time. The low carbon network wanted to test the Eco-Cement technology before using reactive magnesia  . 150mm x 150mm test blocks with a standard formulation of 1 OPC, 2 MgO, 9 Aggregate were cured on site, out of direct sunlight or rainfall and undercover for 7 and 28 days. The 7 day compressive strength was 12.1 N/mm2 ( = 12.1 Mpa). Testing was carried out at the University of Brighton. Although the test equipment was not National Measurement Accreditation Service (NAMAS) accredited and had not been recently calibrated, it was considered reasonably accurate and sufficient. 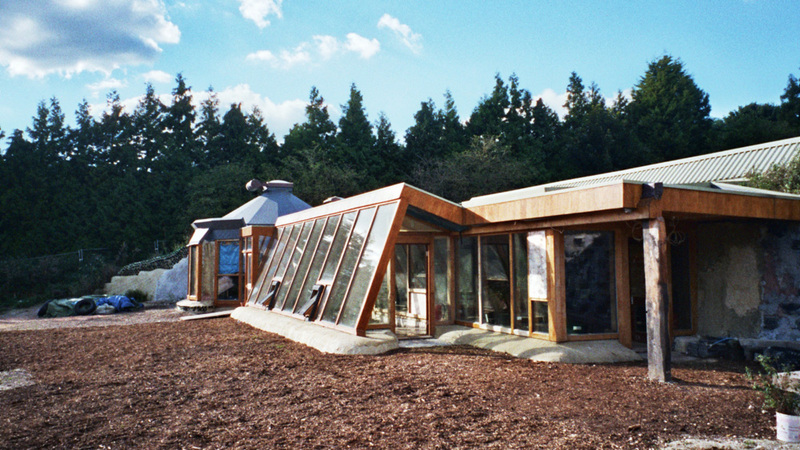 Earthship are autonomous earth-sheltered buildings independent from mains electricity, water and waste systems Earthships homes or offices are off-the-grid with little or no utility costs. As TecEco could not get magnesia to the UK on time, CJC Chemicals at Hartpool in the North of England supplied for us (http://www.cjcchemicals.co.uk/mainframe.htm) and selected Grade: 93/12F. Reactive magnesia is also variously known as caustic calcined magnesia, caustic magnesia or CCM. The temperature of firing has a greater influence on reactivity than grind size as excess energy goes into lattice energy. Technical information about reactive magnesia is available in the technical area of our web site. Alternative wet then dry is best, dry for gas transport, wet because the carbonation reaction occurs through solution.